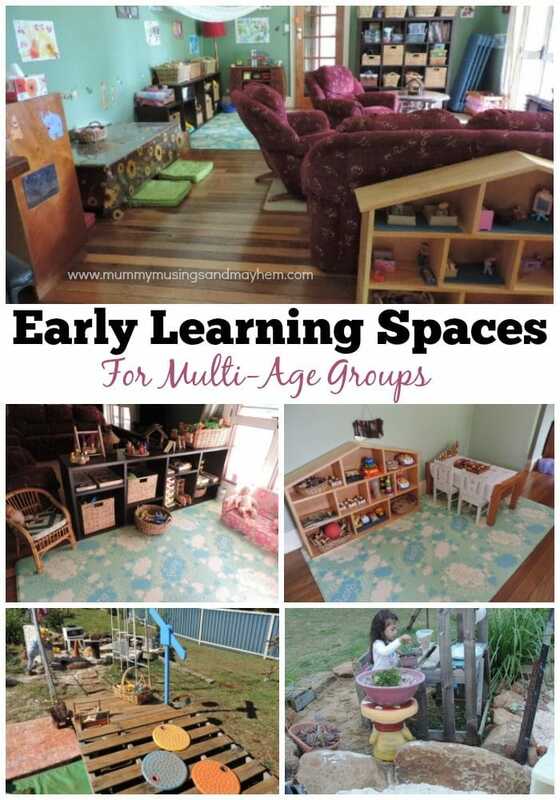 How to create early learning spaces for multi-age groups. 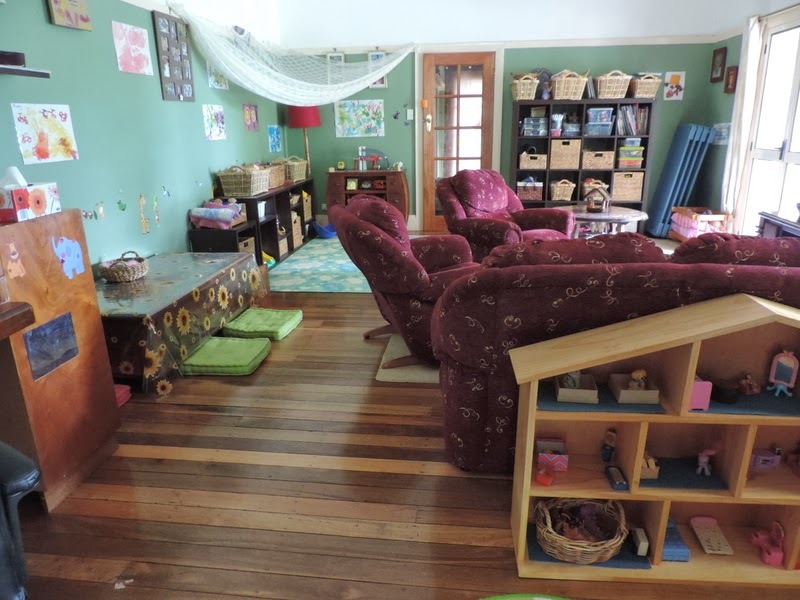 Designing and creating engaging early learning spaces for children of different ages can be a challenge but today I want to share a few simple strategies to make the process a little easier for both educators and parents. 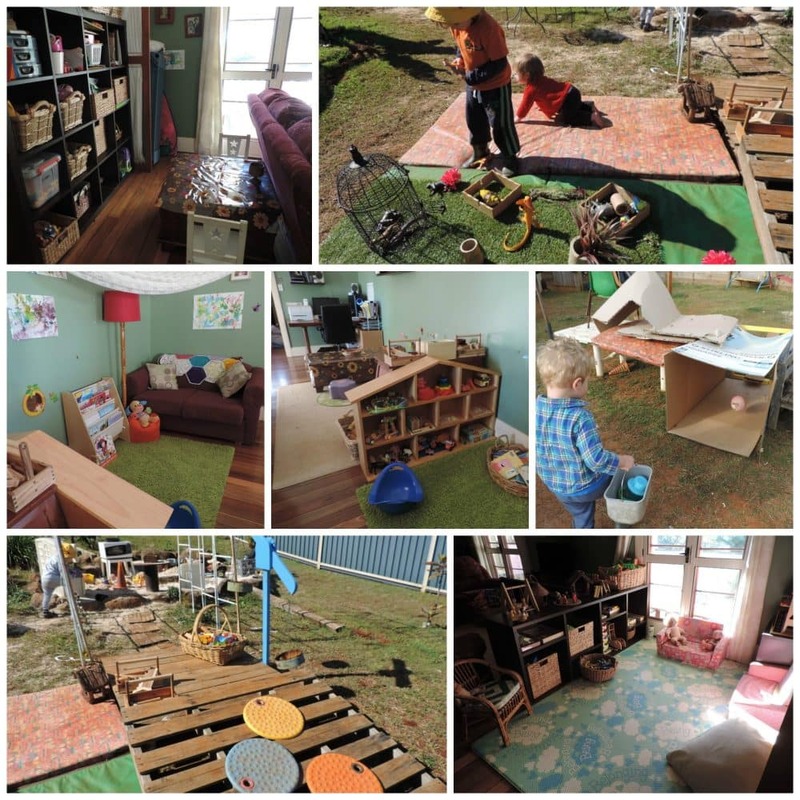 It is certainly worthwhile putting a little extra effort into setting up your play and learning spaces whether in a home or centre based child care environment. Not only will it make life less stressful for you as an educator or parent (or both!) it will provide many opportunities for the children to explore and play as they need to without constant cries of ‘don’t touch that’ or ‘NO!’ following them around the room and almost certainly quashing that wonderful desire children have to challenge themselves or try something new! Obviously all multi age groups will be different, encompassing a range of developmental stages – perhaps you work in a Montessori centre that encourages mixed age grouping, are a Family Day Care Educator with babies through to school age children in your care or Homeschool your own children of varying ages. 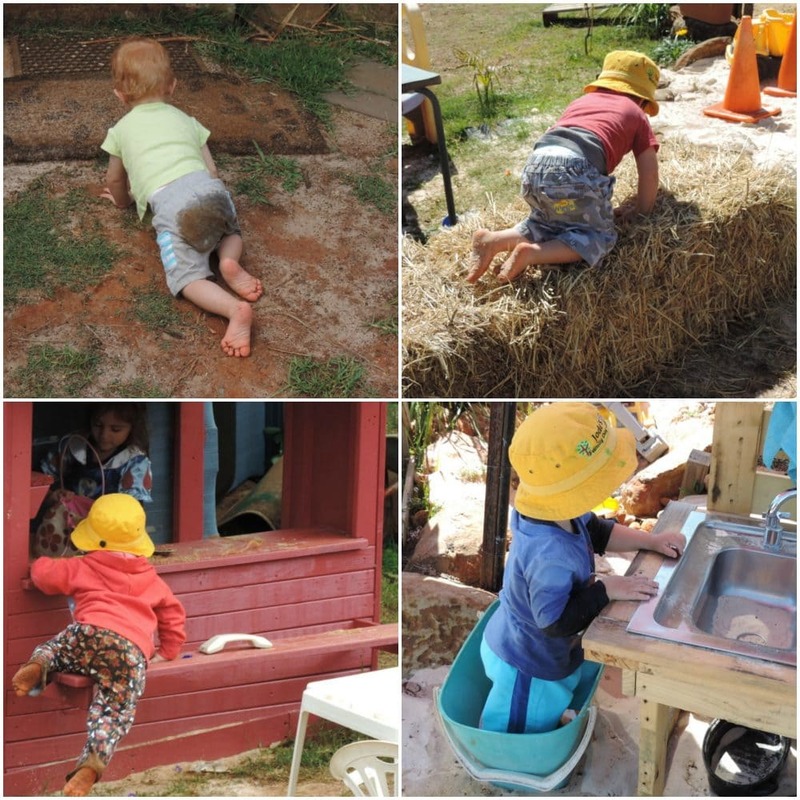 There are many possibilities but no matter the multi-age group environment it remains important to continually assess the children’s interests, developmental needs, skills and personalities when designing and setting up your playful learning spaces. 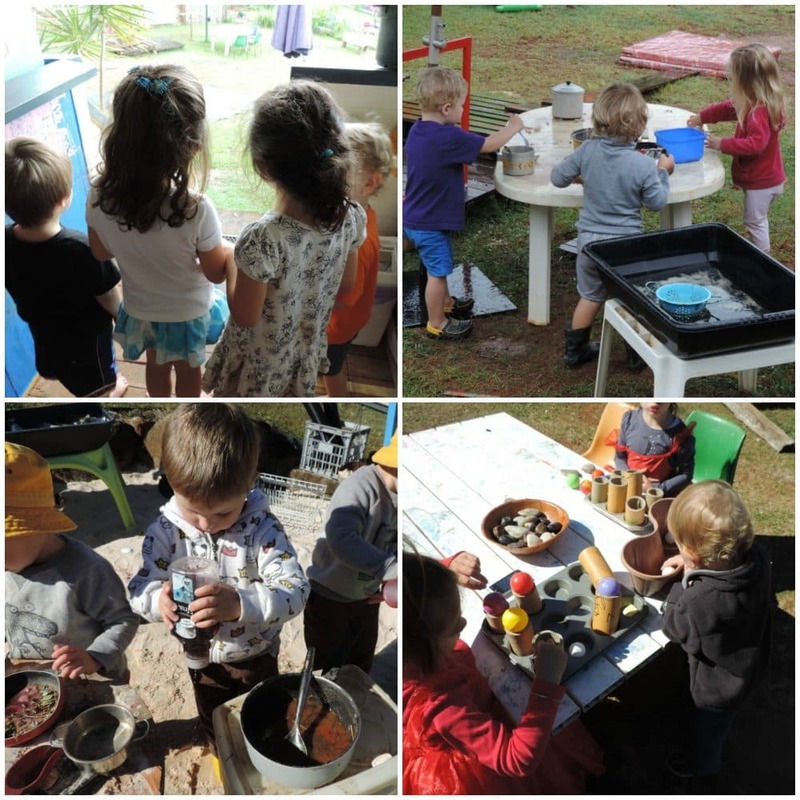 With well thought out and organised spaces children will be offered the best possible chance to engage in opportunities for learning through play. There will still be moments of frustration and tears as different ages learn to work along side each other at different stages but there are some simple strategies I have used over the years to ensure those moments are in the minority. Of course, I will admit to being a little selfish about this to because those strategies have also helped over the years to keep my own sanity…both as educator and parent! Ready to try some out for yourself? Let’s do this! I promise that making even just a few small changes can have a big impact. There is no need to try out everything at once, just pick out a few strategies from the list below and see how you go before adding in another element to your early learning spaces. 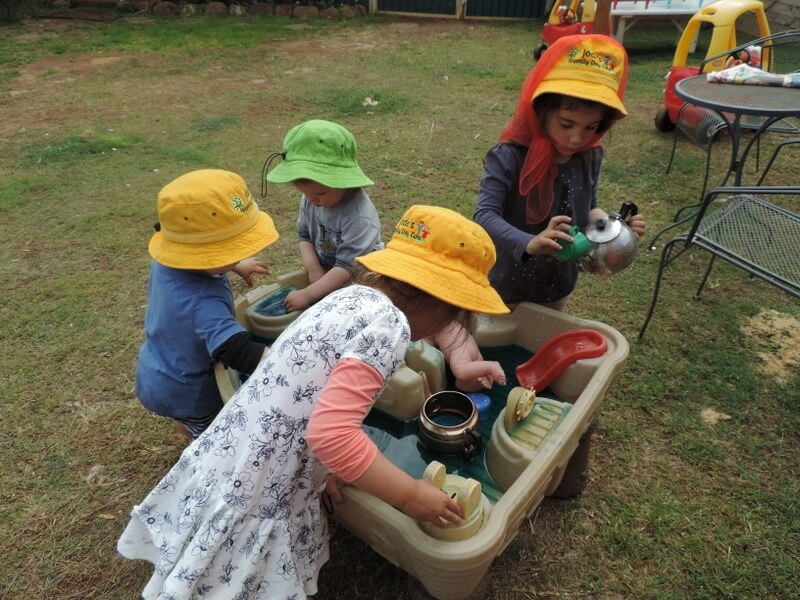 How to create early learning spaces for multi – age groups. 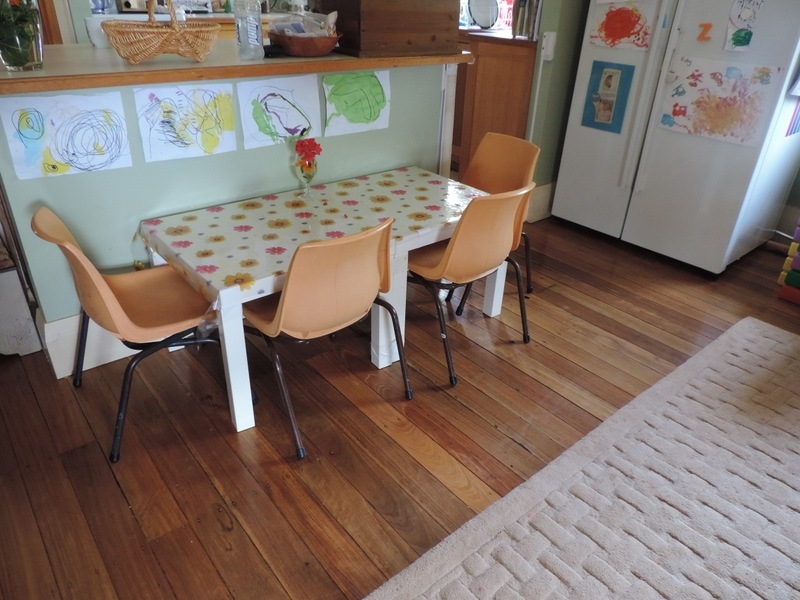 Whether arranging your furniture in a home or early learning centre consider the ratio of fixed to non fixed furniture so you can easily rearrange due to quick changes in children’s needs, interests and developmental stages. If everything is fixed in place or too heavy to move easily it can become difficult for spaces to grow with the children. Be mindful of the effect of sudden changes when rearranging your furniture though – try to move only small pieces and areas at a time to allow children to get used to the changes and explore in their own way. I like to use cube shelving and small bookshelves to break up areas of a room and allow me to easily change the shape and feel of spaces simply by turning around or arranging differently. 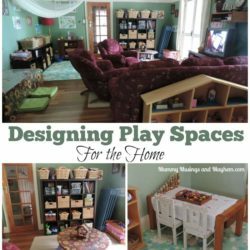 Lightweight, moveable furniture and resources are also important if you don’t have dedicated play spaces and need to pack away at the end of the day to reclaim your family lounge area or leave the playgroup hall for others to use the next day! Keeping it simple will ensure setting up your learning spaces each day isn’t a chore. 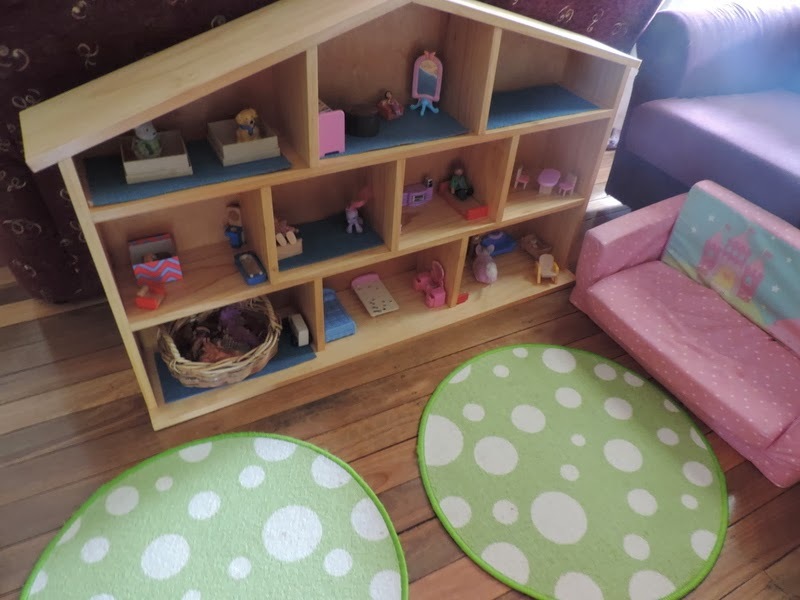 Use furniture like shelving that allows you to place toys and materials lower for baby to explore while providing access to materials for older children higher up. 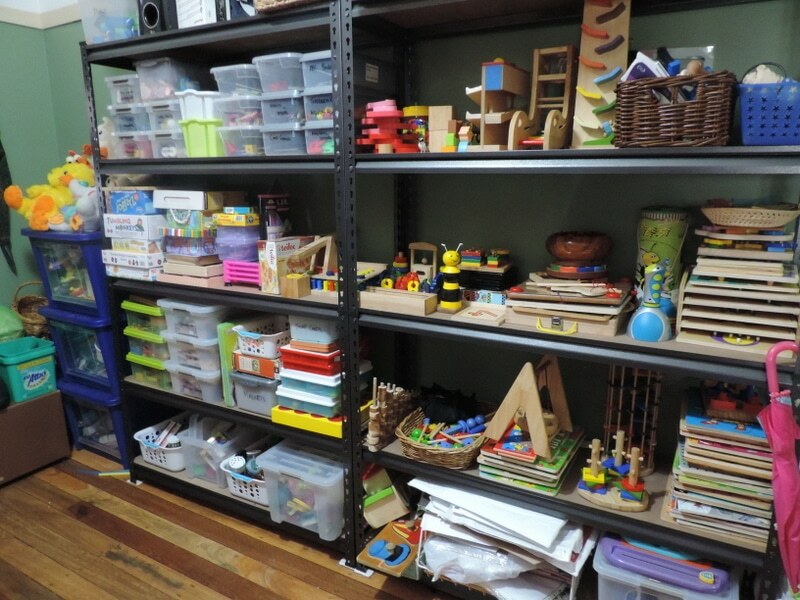 Ensure accessibility – toys, books and materials pushed to the back of a dark cavernous shelf or table do not provide an atmosphere that encourages investigation and play. Consider storage options – don’t try and have everything out at once. Babies and toddlers can become overwhelmed by too much available at once and older children will become bored quickly and begin to engage in the ‘dump and run’ behaviour as they try and find new ways to play with the same things over and over. I personally like to use baskets were I can because they are light, add a warm feel to a room and don’t overwhelm the senses with bright colours and hard plastic. They allow younger children as well as older to see and choose what they want to select and play with and are often more accessible because there isn’t a lid blocking inquisitive little hands! You can label baskets with photos for younger children and text for older so they can also help with the packing up and taking responsibility for their areas and toys. Use your furniture to make children of all ages well welcome and as if they belong in the space – add smaller chairs and tables but don’t go overboard, less is more and floor cushions often do just as good a job as chairs. 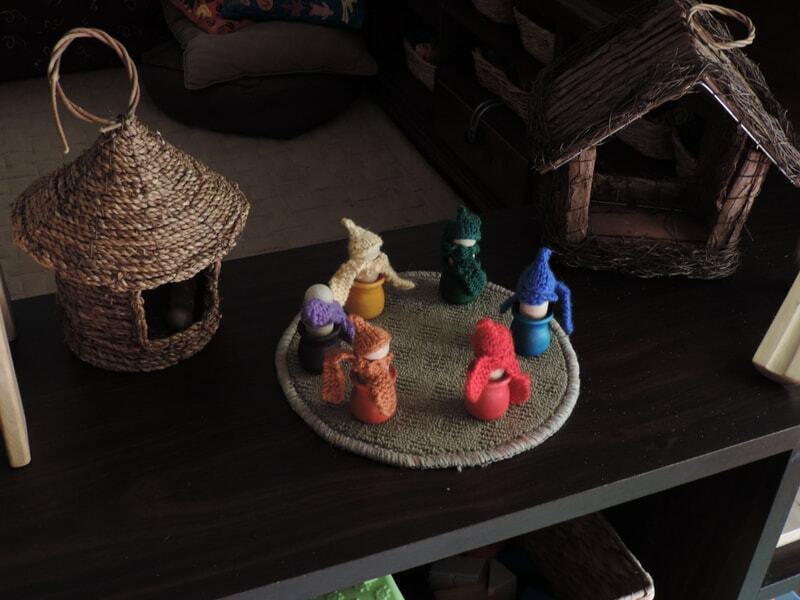 There is also no rule that says children need to be sitting at a table to do craft or engage in an activity – if it is something the younger children and baby will enjoy watching or participating in then help everyone feel comfortable and part of the experience by coming down to the one level. Also consider baby clip on chairs or small chairs when you are using the table so baby and toddler can also feel part of the group at mealtimes – makes it easier for you to sit and interact with everyone at the same time to rather than up and down between child size table and highchair. When choosing furniture or using the existing furniture already in your home keep in mind some the safety considerations I have mentioned further below in this list. If working at home, depending on the mixed ages you might need to remove a piece of furniture until a new developmental stage is reached! 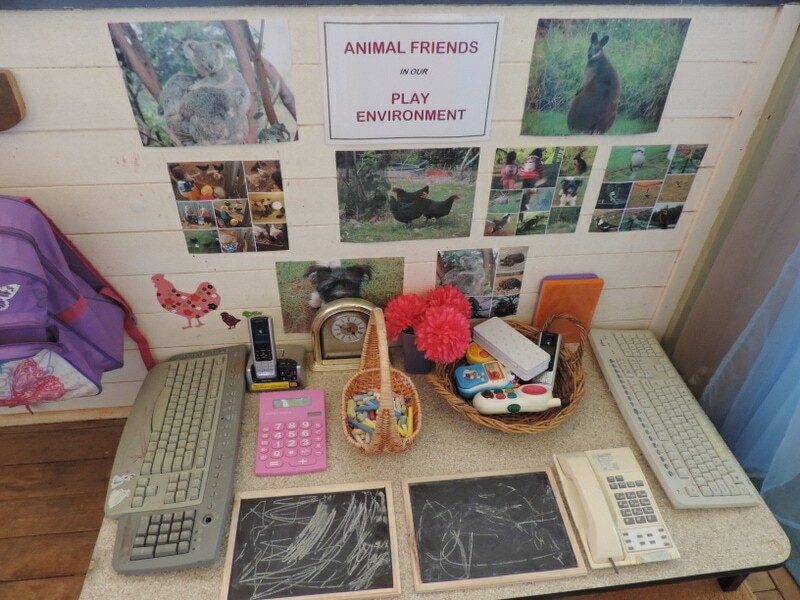 When choosing toys for your learning spaces try and keep it simple – there is no need to try and accommodate every current interest, skill or developmental stage just because you are working with children of a mixed age group. 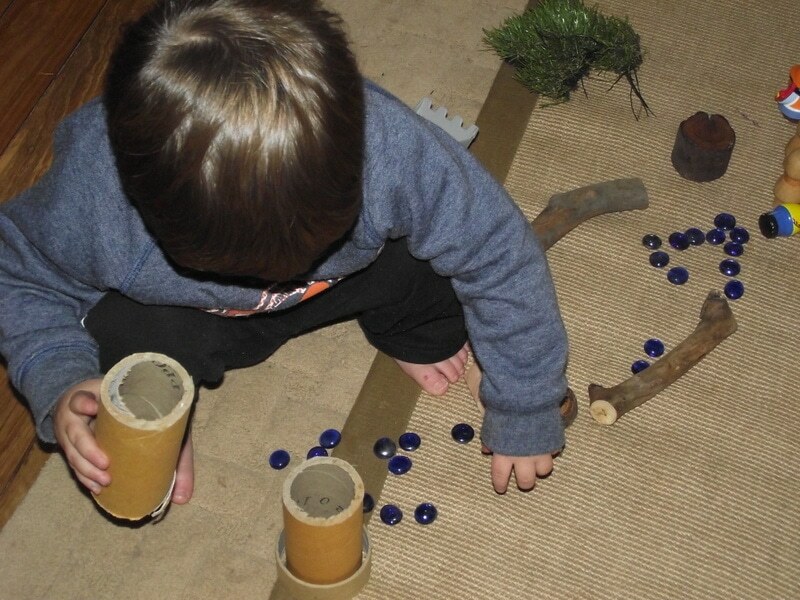 Try and choose toys and resources that allow for open ended possibilities for play – that way all ages will find value in what is available, they will just choose to play with the materials in different ways not concerned with ‘rules for use’. Often the simplest of resources and old favourites like blocks, farm animals, dress ups, musical instruments, cardboard rolls etc will provide the richest of experiences – not just for different ages but also for those children with different abilities and interests. 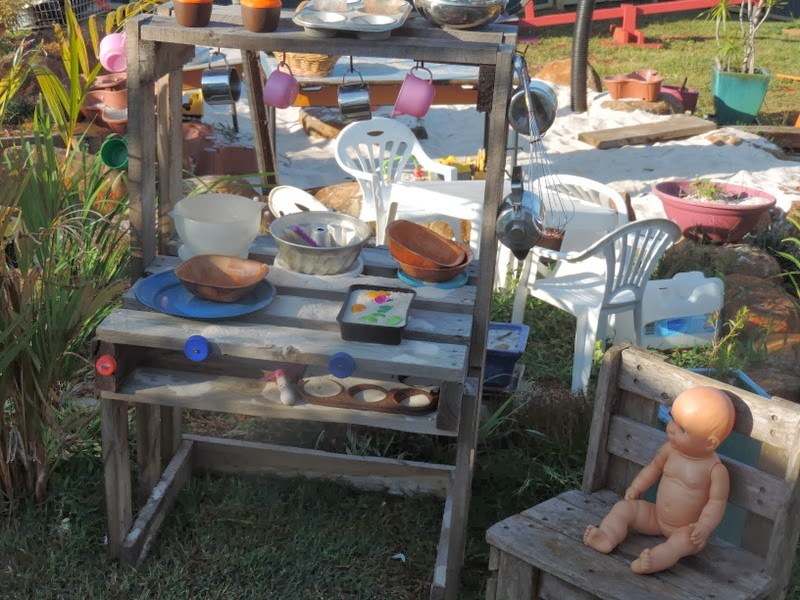 Of course you can still have a few baby/toddler toys out among the mobilo and puzzles but aim to offer the majority of resources in your learning spaces as open ended materials. Also consider toy rotation. 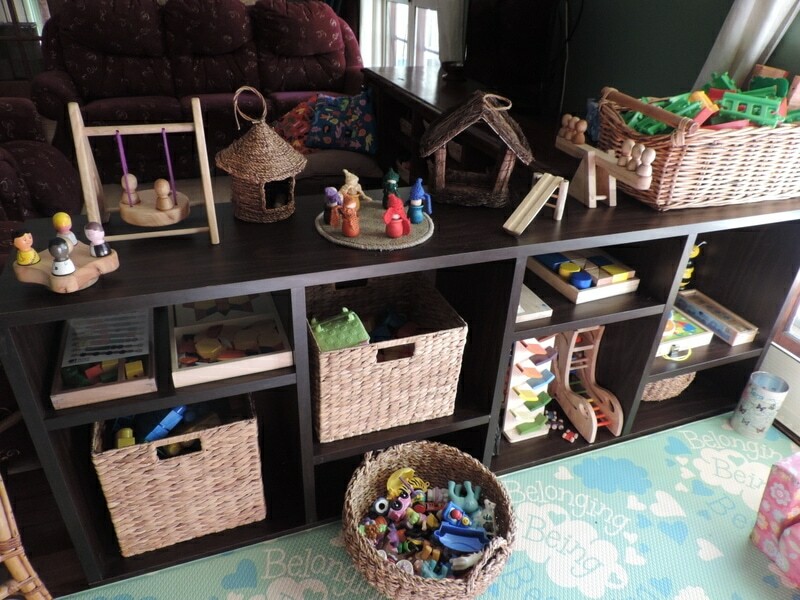 I know many centres and especially Family Day Care services lack storage space but if you can find a cupboard or corner somewhere to store well organised toys and resources out of the children’s touch you will find that using a toy rotation and storage system cuts down on not only your pack up time but also your frustration level! I like to store my resources in plastic tubs with lids and every few weeks changeover what is on my shelves and replace items in the baskets with different materials. This also gives you an opportunity to extend upon current interests and challenge emerging skills. It helps to prevent boredom in all ages and therefore works to support the harmony and appeal of your learning spaces. It takes less than an hour to wash toys, changeover to new ones and store the removed toys as compactly as possible.I love to see the children’s faces the day after toy rotation! Obviously due to safety issues you will need to have small items that could propose a choking hazard up high out of babies reach and you will need to work respectfully with the older children to explain why they can’t leave these materials around for baby to find but if you have first thought carefully about your toy provision and the suggestions I made above you will only have mostly age appropriate, open ended materials available throughout your spaces anyway. 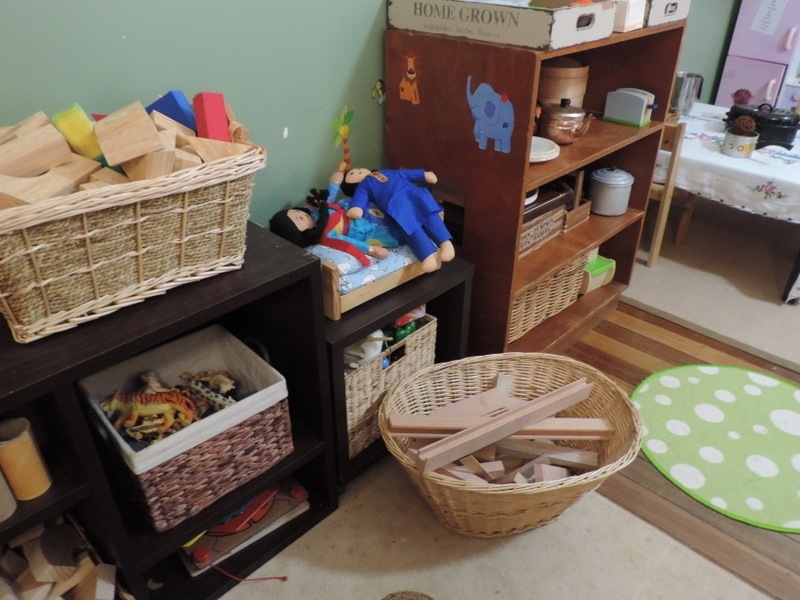 You also won’t have an overabundance of toys on the shelf now to cause a whirlwind of mess so why not make a few simple tweaks to also ensure you are encouraging independence and a developing sense of agency? Support children to respect their special play spaces by ensuring they can help adults to pack away, help prepare spaces or activities with you for the younger children and create areas for their own important projects and spaces. Ensure older children know they have a space out of reach of younger children to place and store their important work. This can be as simple as a shelf on the wall or perhaps on top of a small cupboard! Use labels on the storage tubs or baskets as I mentioned before or store in distinctive coloured plastic tubs or trays to help children pack away on their own. 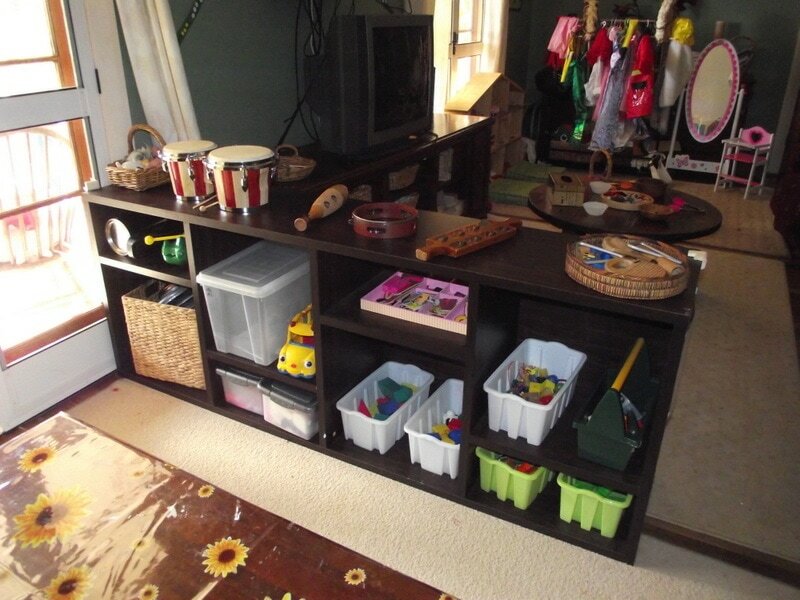 Keep toys and materials easily accessible so no matter their age they can make their own choices. 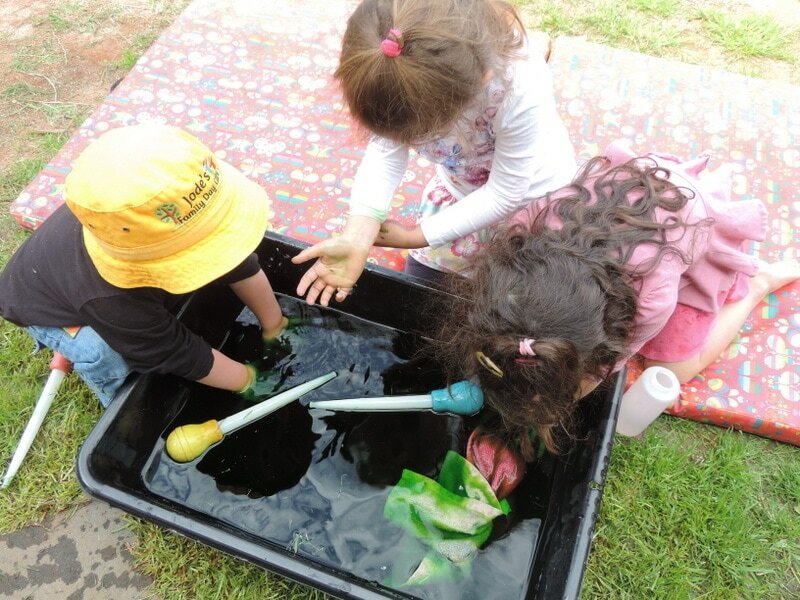 Sometimes with a multi age group it’s just not possible for every child to play with the material they want to in the way that they want to when there are behaviour, developmental stages and safety issues to consider. This is when it is valuable to become a time management ninja and use time blocks during the day to ensure you can meet the needs of all ages. Accept that you can’t do this every minute of the day even though the children will expect you to – what you can do is divide and conquer to ensure you can use your learning spaces and limited time to provide valuable moments just for the older or younger children. There is no rule that says you have to do it all at once with the whole mixed age group day after day. It’s ok to provide spaces and activities that generally meet the needs of the group on a daily basis – take the pressure off and aim to just incorporate special moments and intentional teaching opportunities for the different ages when you can throughout the day. This might mean sitting down to focus on a project, story or activity with an older child when it’s time for younger children to rest, sitting at the table as older children use favourite toys with small parts up high while baby eats, setting up messy play activities outdoors before children arrive so older children can immediately begin paying when you head outside and you can give extra attention to the toddler or baby. 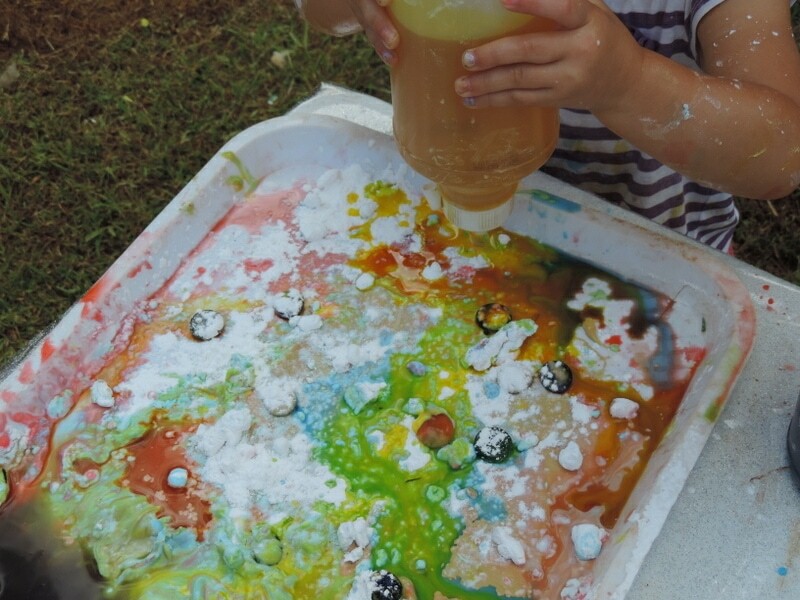 Don’t be afraid to let your crawlers and climbers get dirty and engage in a little risky play while you are close by but engaged with the older children doing an activity! 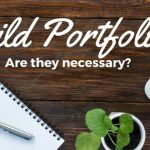 I’m not going to lie – it can be difficult and at times frustrating to meet the needs of multi age groups but it is certainly made a lot easier by being clever with your time management and how you set up your learning spaces. You can’t be everywhere at every moment – supervision is important but so is adult interaction and ensuring your environment and approach is age appropriate but still allows opportunity for independence. 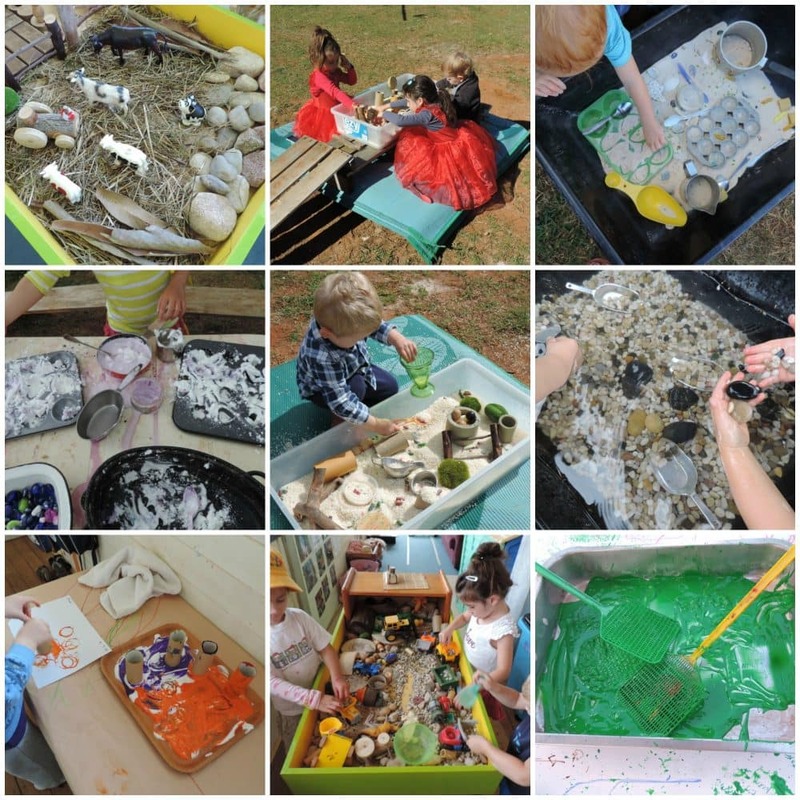 I like to use trays, large bowls and plastic tubs to set up messy experiences, sensory invitations to play and projects with small parts best not touched by baby or a young toddler. They allow me to quickly remove out of the way of little hands if I need to and come back to later to clean or continue the play. Just lift and place out of reach. With respectful conversations and modelling older children do learn to be aware that small parts need to stay on the tray and any dropped pieces must be quickly picked up out of reach of baby. 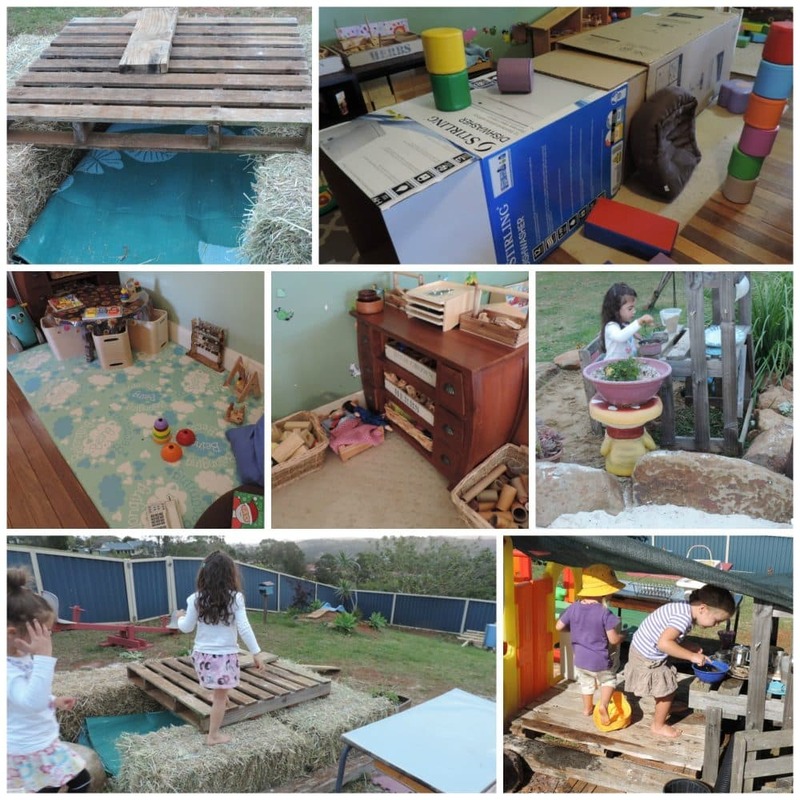 Sometimes you might like to make use of baby gates or barriers of some type to allow the older children to work on their projects and play with no interruptions from babies or toddlers (older children inside the barriers not babies!). 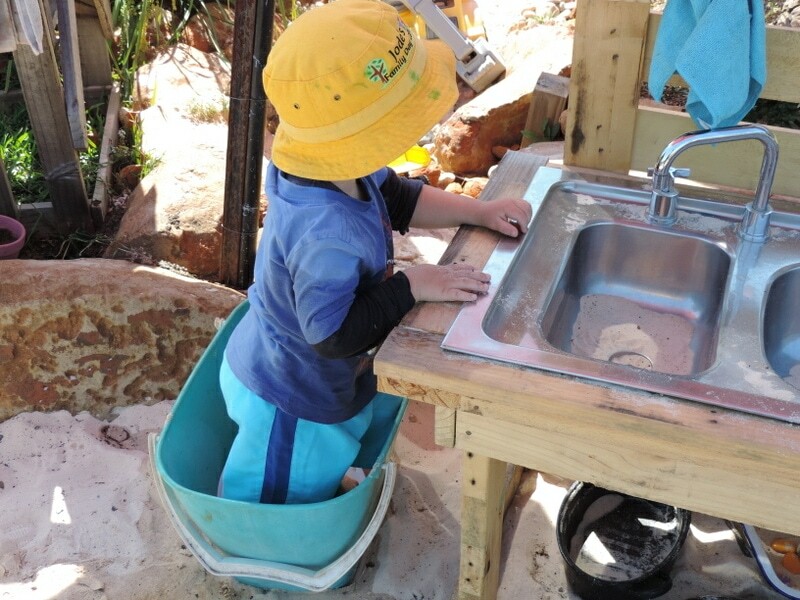 Outside you can use barriers like boulders, branches, soft material hung from trees, pallets, wooden spools and cardboard boxes to create smaller private spaces for younger children to feel safe or older children to feel a sense of privacy. Safety is important for any environment whenever there are children around but you must be extra vigilant when you are caring for children of varying ages in the one learning space. Aside from the basic childproofing and regulation requirements you might initially do it is essential to review often as different developmental stages and milestones are being reached quickly and often before you even know it! Accidents will happen and we certainly don’t want to create an environment that seeks to wrap children in cotton wool but you might have to accept that at certain stages that table presents a climbing hazard or those shelves will need to be secured to the wall for now if you want to keep using that piece of furniture. If you find yourself always in a constant state of fear and frustration and shouting ‘NO!’ to a child then you need to rethink the way you have set up your play areas. Ensure that sharp scissors, small construction and craft materials and items that might easily pose a choking hazard if dropped are out of reach but accessible by older children who are supported to use them carefully when younger children are present. If the children aren’t old enough for you to feel confident about this then remove them for now and make accessible as skills, strengths and developmental stages change. Perhaps you can have those items out on certain days but not others depending on who you have that day in your group. One of my tasks every morning when running a Family Day Care service was to do a quick ‘5 minute lift’. Some baskets went up out of reach on certain days, other ones might be introduced. There is no rule that you MUST have everything available every day so stop trying to feel as though you must do it all! You know the dynamic of the children you have in care each day so work with that knowledge. Another trick I have used for many years is to turn certain shelves around to face a wall on certain days or push a table against the shelf to prevent use – with a different group the shelf is turned back around and table pulled out again. Going to say it again…Keep it simple – working with multi age groups is different and often requires different environments and strategies, there is no wrong or right way! 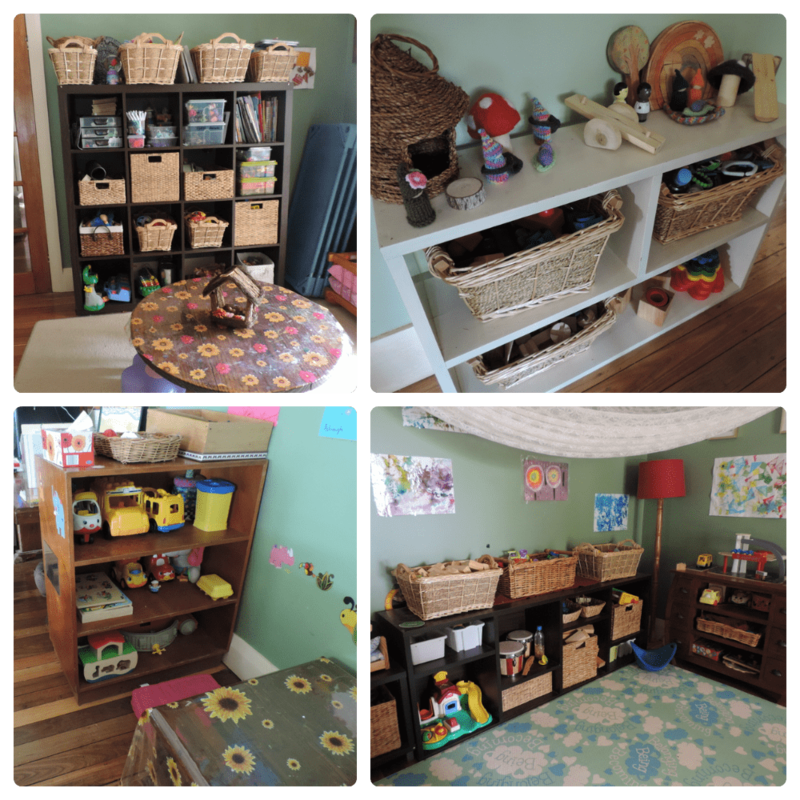 I like to break spaces up within a room to create smaller areas for children to discover and find their own space. You can do this whether you have a small space or large. Whether you work in a large room, a lounge room or a converted garage area aim to find ways to create smaller areas. You can do this using furniture and other simple barriers as I mentioned above. 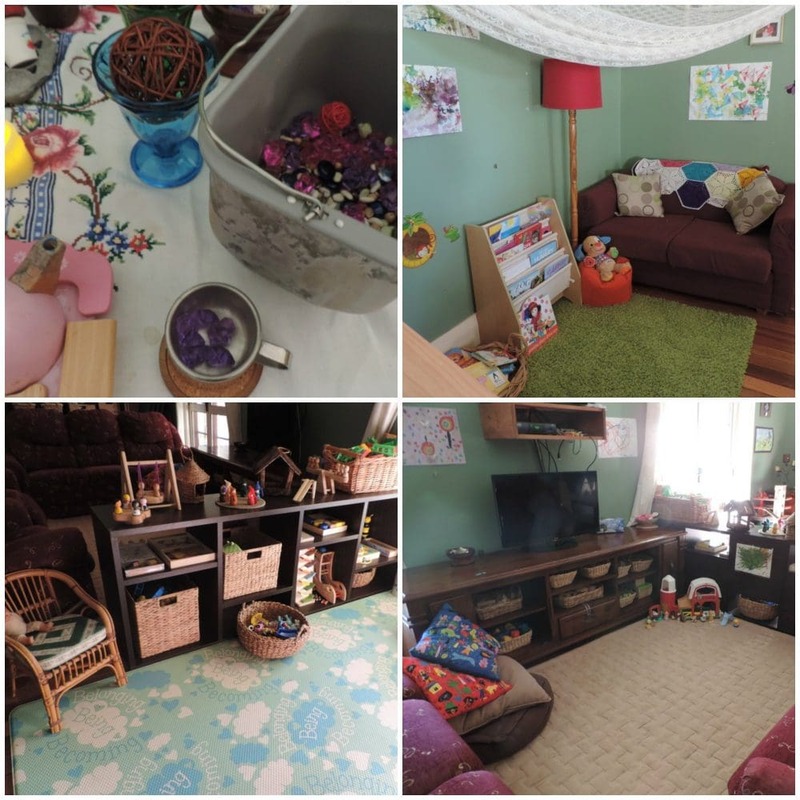 The photos below should give you a little inspiration and an idea for how I like to arrange my own play spaces within a home environment (I have used the same principles over the years when working in long day care and occasional care centres though). Use small shelves, tables, dress up trolleys, home corner furniture, lounges, soft furnishings, draped fabric, cardboard boxes , stable screens, little nooks behind and in between larger fixed furniture and anything else you can think off to design smaller learning areas within your larger environment. 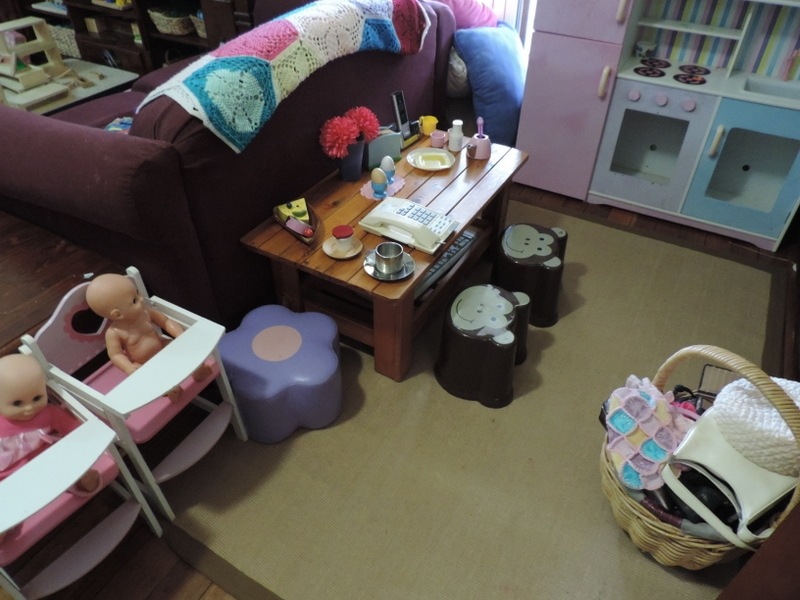 A space for the younger babies and toddlers to explore safely away from the older children when needed. 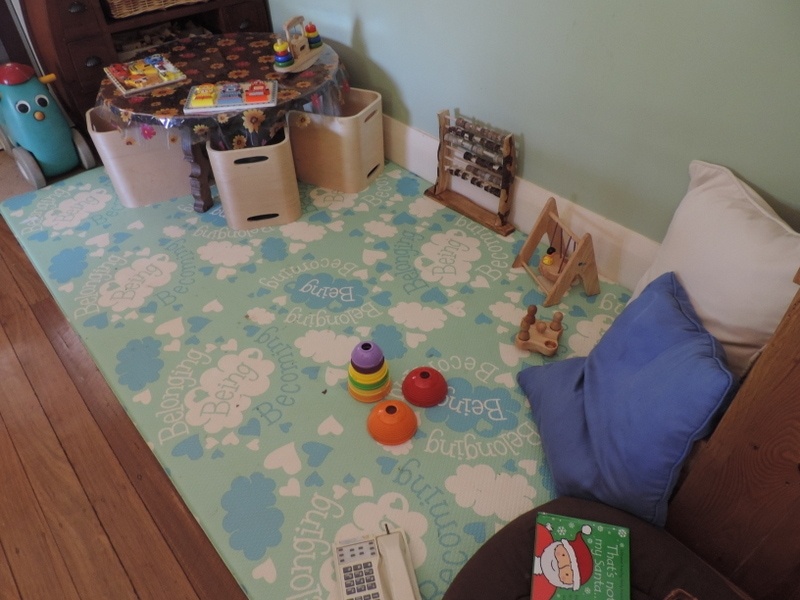 An area we don’t need to clean up completely at the end of the day so ongoing projects can be revisted easily when next they attend care (If short on space this might be simply a tabletop or shelf away from smaller hands). 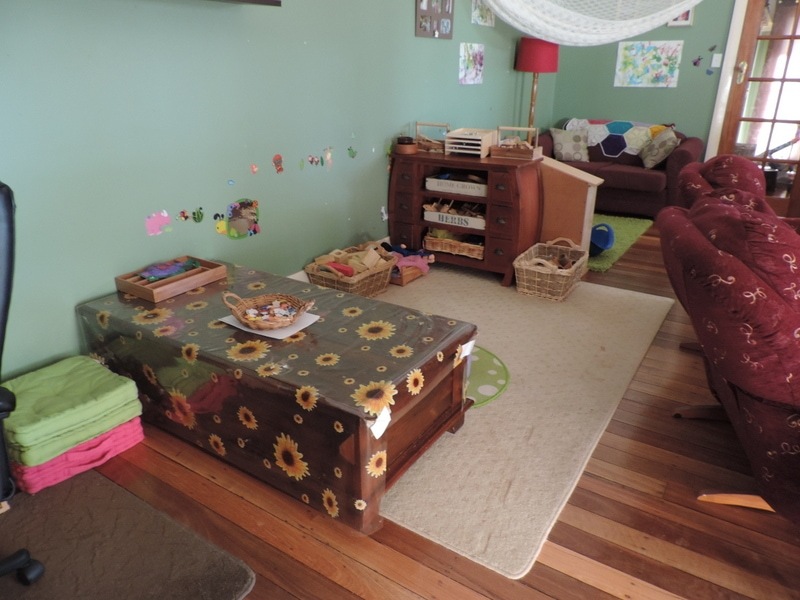 An area for group time activities – this might be as simple as a rug, some cushions the children gather to sit on ( The cushions that tie onto chairs are used a lot as floor cushions for sitting on and claiming a private space here) or a comfy lounge. 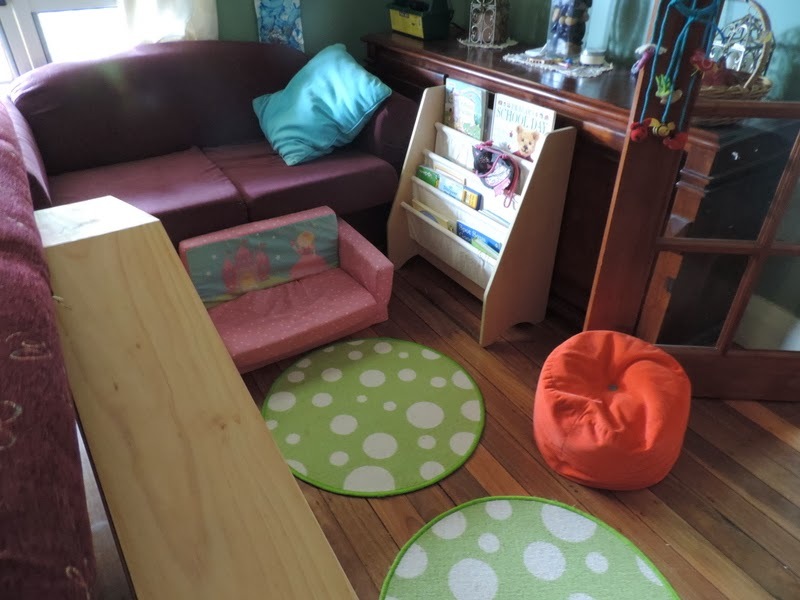 Obviously you might not have the space to allow for as many areas as this but at a minimum I would try and create a quiet area children can retreat to when wanting to play uninterrupted (either by a baby or older child) or if they just want to move off and find their own space for a while. I would also aim to have an area that encourages noisy construction, conversation and group play. Having smaller spaces within your larger work area helps children to feel a sense of independence and will ensure a less stressed space for you as it breaks the children into smaller groups you can move in between making it easier to meet the different needs of each age. 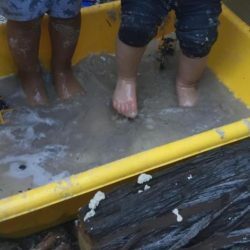 A word of caution though – just because you have created separate spaces it doesn’t mean you should be rigid about how the children move and play between these spaces. 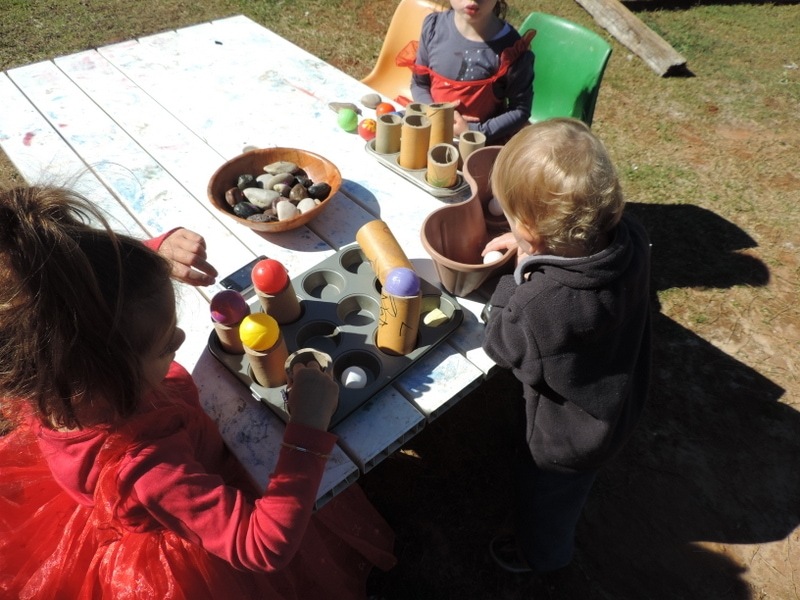 It is not essential that dress ups are kept in homecorner or blocks can’t be used as loose parts in the shopping game. Use common sense and allow a little flexibility while still encouraging the smaller group play. If you try and control every aspect of a child’s play and how they choose to do so you will end up one very stressed educator! 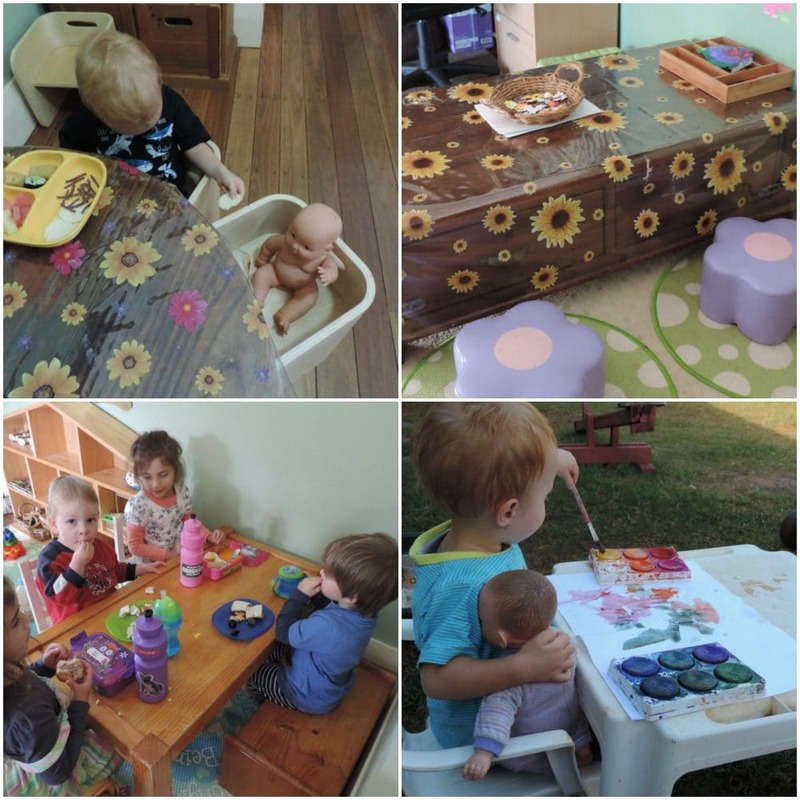 Providing room to display precious artwork or photos of projects and children engaged in their play is important for any learning space. Again, just keep it simple – don’t make unnecessary work for yourself. A small space on a wall or window or the back of the toy shelf will do – it’s more important how you display. Why not have a few frames on the wall that you can use to display different art each week or perhaps use coloured paper to make a canvas for highlighting photos. There are many ways to respectfully display children’s work. Keep an eye on my Facebook or Pinterest pages as I often share inspiration and ideas! For a multi age group space try and provide an area for older children to display work of their choice out of babies reach but easily visible to them. Don’t forget about the younger members of your group – they love to see faces and pictures too so why not laminate or use frames to display work at a lower level for baby/toddlers. Don’t keep everything up high. Lie down on the floor to identify places babies and crawlers might investigate and love to look. This is especially important if you are a running a Family Day Care service and you don’t have a dedicated space outside of your home. You don’t want your lounge looking like a child care centre and thankfully most long day care centres are also now taking this approach and trying to make rooms more welcoming and recognisable to children as not so far from a home environment. Think neutral colours, soft furnishings, frames with familiar faces, natural materials, lamps, plants and real life tools to help support all ages to feel secure and engaged with their surroundings. This doesn’t mean you need to go out and buy expensive wooden tables and chairs, new cushions , mats and curtains. 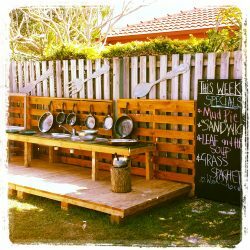 Just work with what you already have and make changes as you can – add a basket or two one week and perhaps some pretty tablecloths from the op shop the next week. 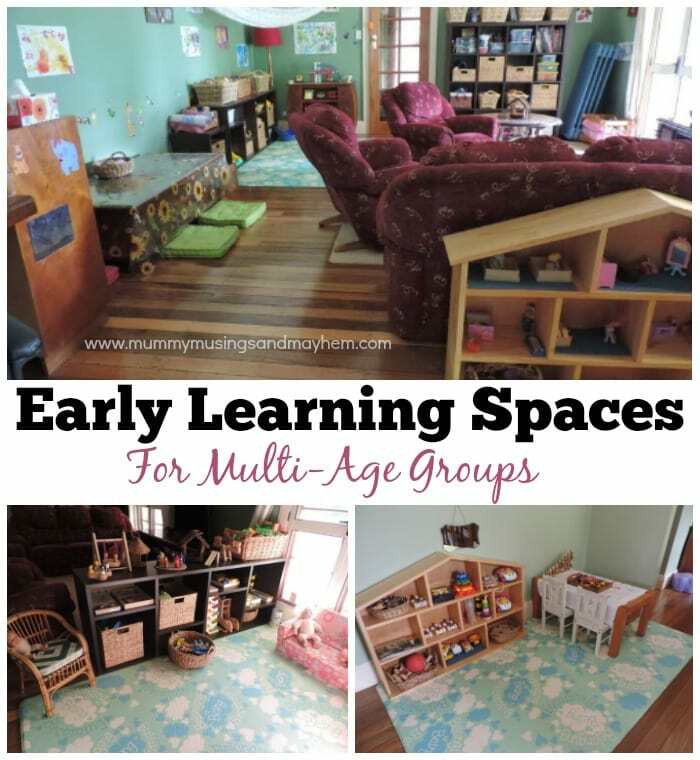 I hope you have found some of the above strategies and photos useful as a source of inspiration when designing your learning spaces for children of mixed ages and groupings. I’d love to see how you have set up your own spaces – why not share them with me over on my Facebook Group. If you are an educator seeking support with your programming or more inspiration and simple ideas to create environments and activities that embrace play based learning you will find my e-books useful. They are available to download right now to your computer or device no matter where you live! You can read more about my professional development resources for educators HERE. Jode I’m loving the revap – very well designed and practical site! Thank you! 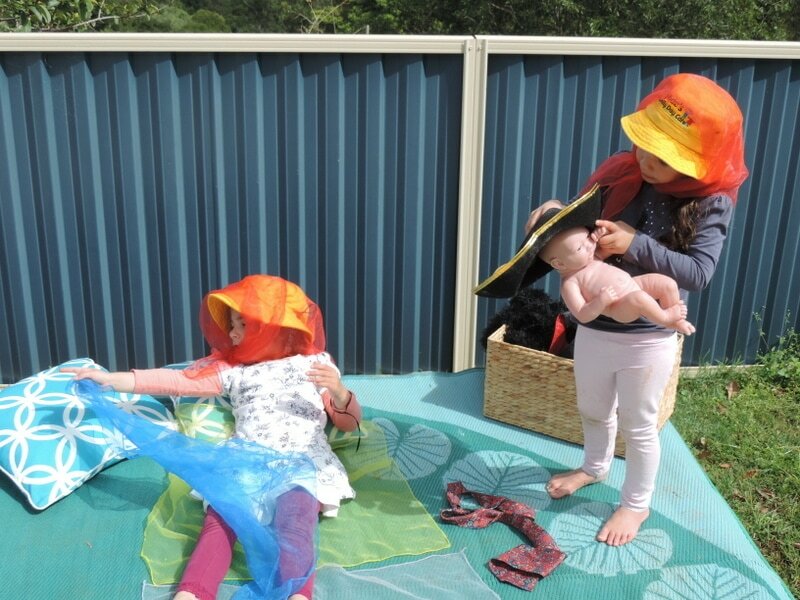 I’m running a family daycare (we call it home-based education) in New Zealand. I’m a newbie – only official since January. 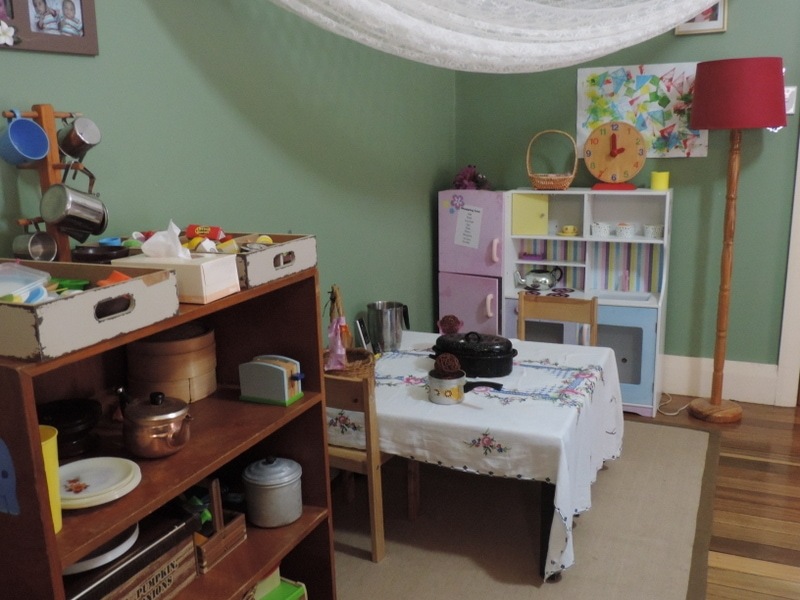 I’m plenty comfortable with our indoor and outdoor play areas – but in terms of rooms, our house is quite small. We’re a 2 adult 2 child family, in a 3 bed 1 bath 1 living transportable home. Currently my kids share a room, but soon they’ll need their own rooms back (boy/girl, introvert/extravert combo). I’d love to see how different providers, especially running from smaller homes, manage their admin/child sleep spaces? At the moment, the not so spare room has both my and my husbands desks, and the cot.